Being that I’m coming to you this morning from somewhere along I-5 between Vancouver, BC and Portland, Oregon, mentioning Girls Rock Camp seems only appropriate. 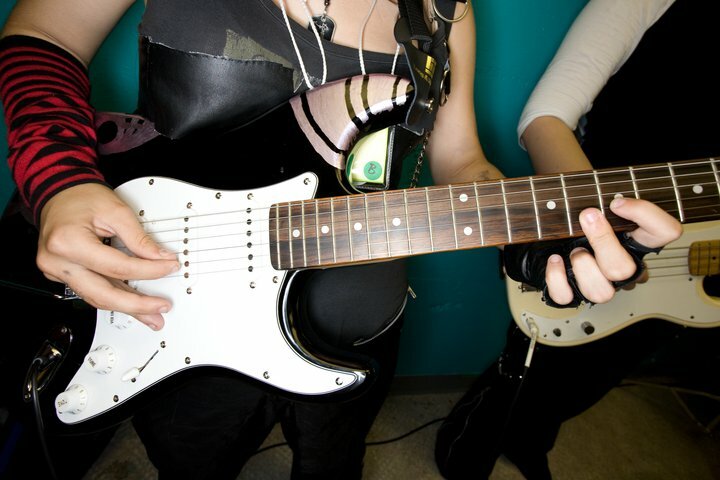 Nearly a decade ago, the Portland State University Campus launched a summer camp for female youth aged 8-18 interested in rocking and rolling. Since 2001 it’s turned into a year-round, nation-wide program. Aimed at encouraging self esteem in girls and young women, Girls Rock Camp is a non-profit group that teaches music writing, singing and instrument lessons through workshops and hands-on training. The girls are supported as they create, perform and learn while in a social environment that is both nurturing and skill-building. What started in Portland has now also moved to, among other places, British Columbia with Girls Rock Camp Vancouver. Because the group is a non-profit, they are always looking for community donations and support to keep the initiative rolling – whether through financial support or even instrument donations. For those in the Portland area, a fundraiser this Sunday, December 12th will be blowing the doors off Mississippi Pizza at 3552 North Mississippi Avenue. It’s an all-ages show by donation with all proceeds to benefit Girls Rock Camp. Visit the Facebook event page for more info. To stay in the loop with Girls Rock Camp in Vancouver, BC, you can find them on Facebook or follow them on Twitter. 1. I still have one pair of alpine passes from Mount Washington Alpine Resort to give away. Click here for your chance to win until December 10th. 2. Tourism Richmond is giving away a $250 Visa gift card to one Keira-Anne.com reader. Click here to enter to win until December 13th.